Viking Cruises announced Thursday it would be launching a new 11-day ocean cruise itinerary, dubbed the Greek Odyssey, that will allow guests to explore the ancient empires of antiquity along the Aegean Sea. 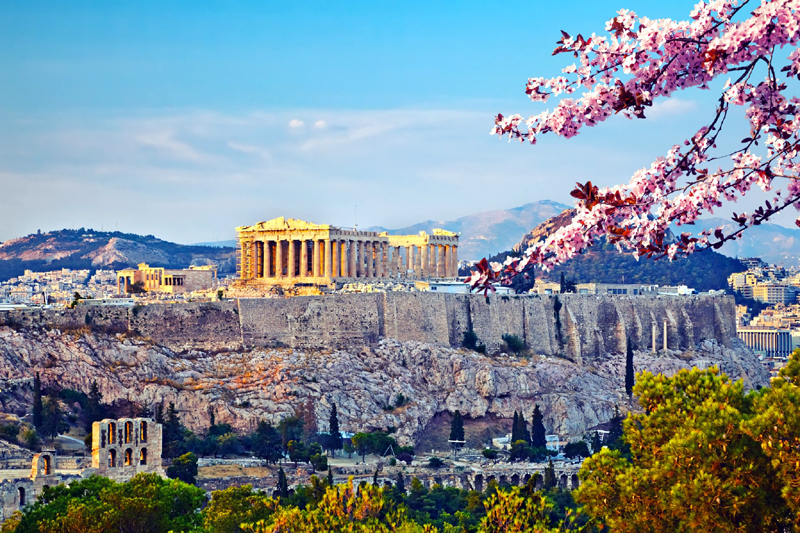 Starting in January 2021, the new itinerary will sail roundtrip from Athens and feature three new ports of call for Viking, including Volos, Thessaloníki and Nafpilo in Greece, as well as a stop in Ephesus, marking the company's return to Turkey. Passengers on the Greek Odyssey voyage will sail on the 930-passenger, all-veranda Viking Sea. “With this new itinerary in Greece and Turkey offered during the quiet winter season, we look forward to helping our guests explore such a culturally rich region of the world in The Viking Way,” Hagen continued. Highlights of the new cruise include a stop in Ephesus, where passengers can visit the remains of the Byzantine Basilica of St. John and even the reported home of the Virgin Mary. In Volos, travelers can explore the ancient religious center of Dion and the stunning scenery of Meteora. Guests can also explore the ancient culture of Thessaloníki, the breathtaking mountains of Nafpilo and the majestic slopes of Mt. Athos.